This year, KPMG China/HK is offering a special opportunity for overseas candidates to apply early for 2020 full-time positions. The application window is now open until June 6, 2019. Successful applicants will be sent a link to the online aptitude tests and be invited to go through the selection process in China or Hong Kong in July, before returning for the final year of school. If applicants are unable to make assessments at home in China this summer, they can go through them in September / October during the fall campus season but this will be the latest. KPMG will not be carrying out interviews / assessments in the December holidays this year. 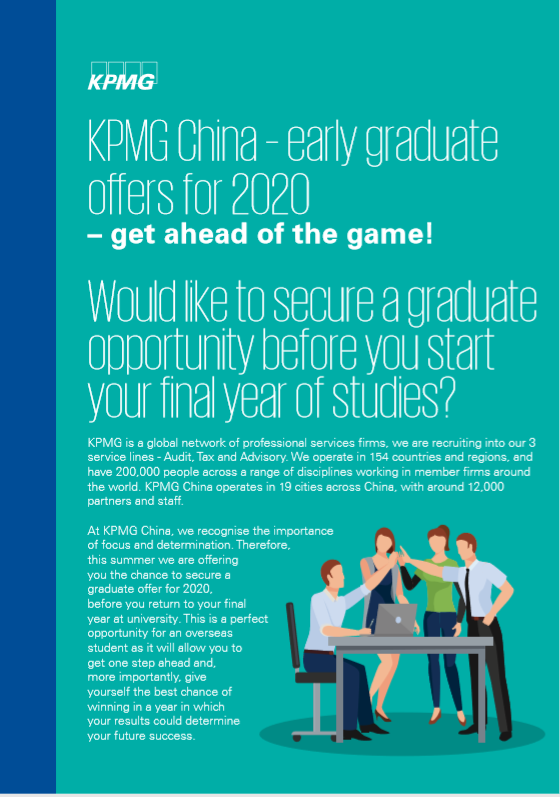 KPMG China/HK will accept 2019 graduates for this (if they did not manage to apply last year) so long as they are aware of the 2020 start date. 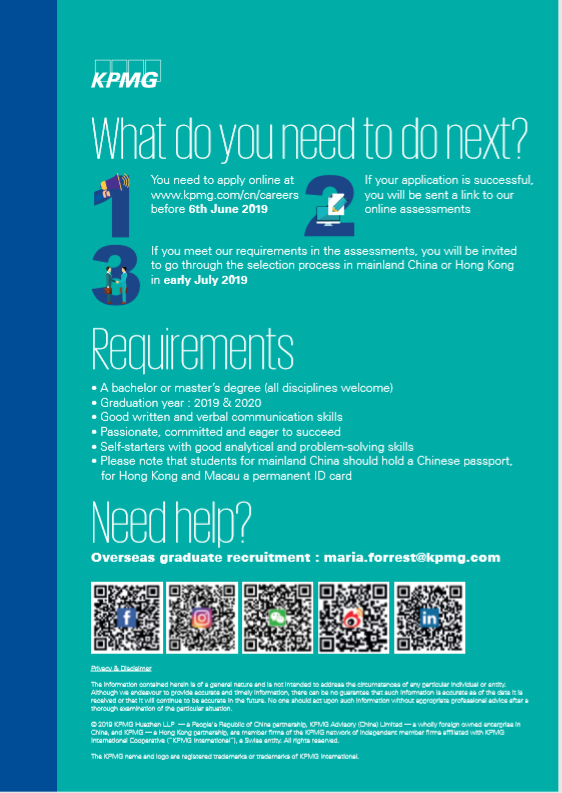 KPMG China/HK accepts all degree disciplines both undergrad and graduate, they only ask that applicants for mainland China hold a Chinese passport and for Hong Kong have a permanent HK ID card. Below is a flyer with additional details. Please note – this program is being managed by KPMG China/HK. KPMG US professionals are not part of the selection or evaluation process.